Eden Hazard has made it clear that there is ‘no chance’ that he will be moving to Man Utd in the near future. The Belgian was inches away from moving to the Old Trafford outfit back in 2013, but opted to join Chelsea instead. 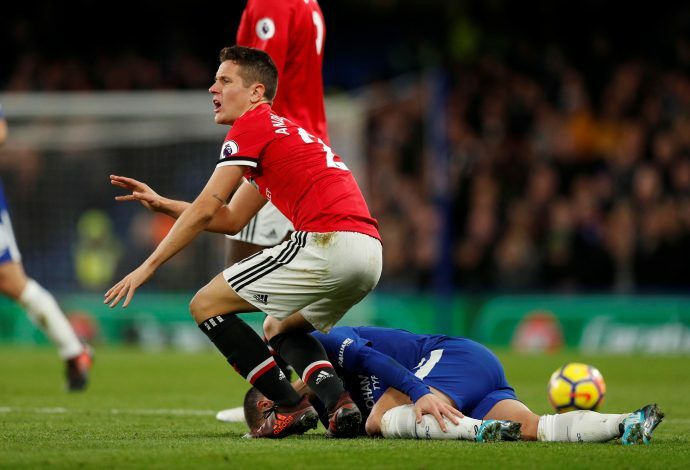 He has, on several occasions, been linked with a move to the Red Devils yet again, but the Blues have never let him get anywhere close to leaving. But now, with his future up in the air as he struggles to commit to a new deal, Man Utd have once again been brought into the picture. Real Madrid have been following Hazard for quite a while now, and his hesitation to commit to a new deal stems from their interest. While he may be interested in a move to Spain, he has made it ever so clear that there is ‘no chance’ he will be moving to the Theatre of Dreams. The 27-year-old was getting a haircut while live streaming on Instagram, when a hopeful punter commented ‘Come to Utd’.